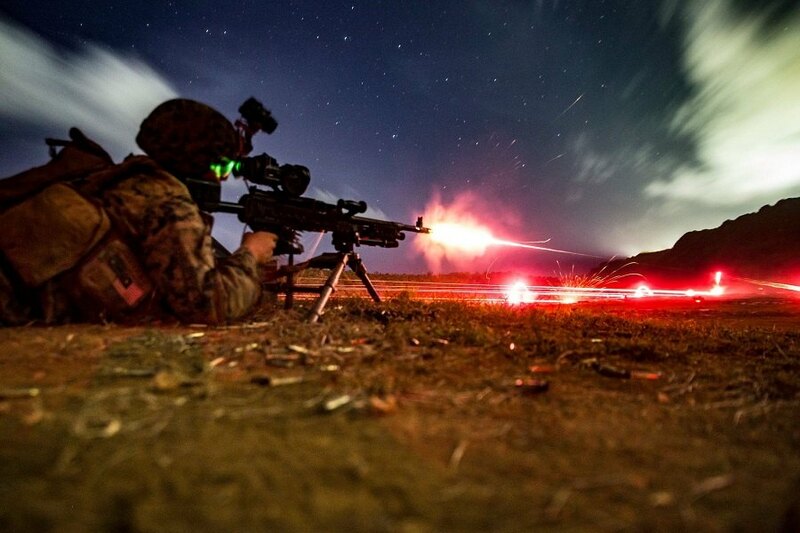 A U.S. Marine fires an M240G medium machine gun during low-light live-fire machine gun training at Andersen Air Force Base in Guam on March 11, 2019. Wow! Thanks to Lance Cpl. Harrison Rakhshani for capturing this magnificent image.